This week at Fresh Choice Nelson, we’re welcoming back Paula Saengthian-Ngam as our guest blogger (Find Paula on Facebook). If you have a celebration coming up, this recipe is for you… Paula is talking celebration cakes! I’m not quite sure what it is with this time of year, but every other week I seem to be in need of celebration cakes… Family and friends birthdays, wedding anniversaries, etc. I have another big celebration coming up soon, the birth of my baby which is due any day now. Chocolate celebration cakes are a firm favourite, and this has been my go-to recipe of late, it is very versatile and never fails. It is moist, rich, easy and best of all can be made in one bowl! You can dress it up to be quite spectacular or keep it simple with just a sprinkle of icing sugar and some fresh fruit. I usually cook it in two baking pans an sandwich it together with some raspberry jam and chocolate cream cheese icing. Then I drizzle Ganache over the top. The flavour combinations are plentiful, coffee butter cream is another favourite of mine. 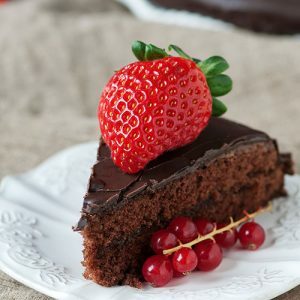 This cake can be made dairy free just by switching the milk to a non-dairy one and gluten free if you switch the flour to a gluten free brand. Mix all the ingredients in a cake mixer until combined. Pour into a lined cake tin or two if you want to sandwich the cake. Bake at 170 degrees until a skewer comes back clean and the cake springs back. Decorate however your heart desires and enjoy!